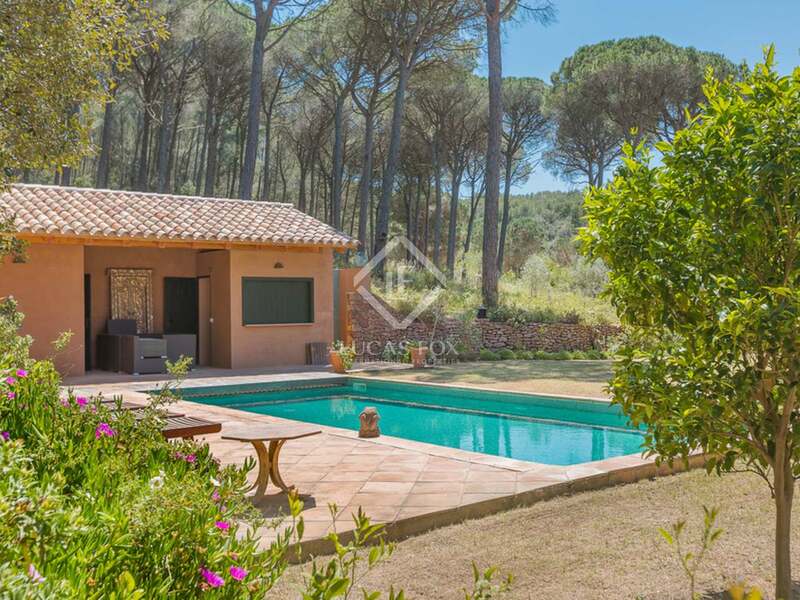 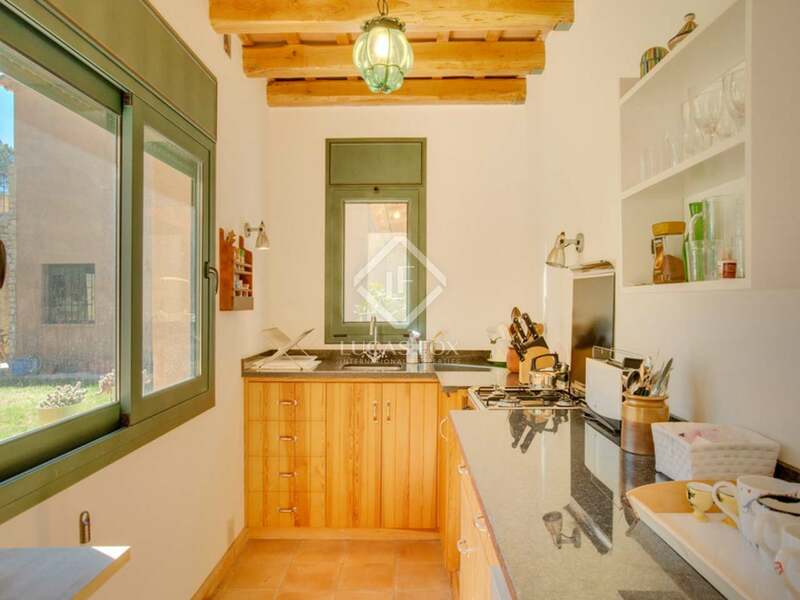 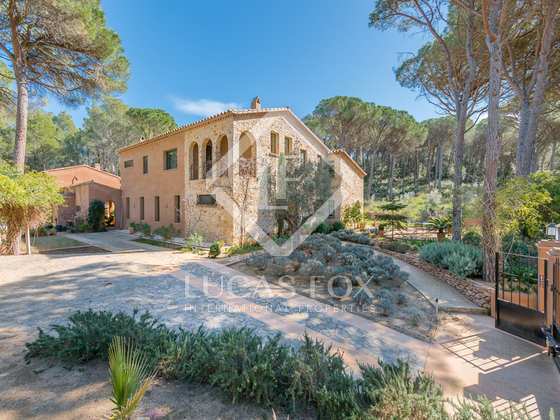 Constructed in 2006, this beautiful country house is situated in lovely, peaceful surroundings with 2 hectares of private land, including attractive landscaped gardens and 1,7ha of pine forest - the highest part of which enjoys sea views to the Islas Medes. 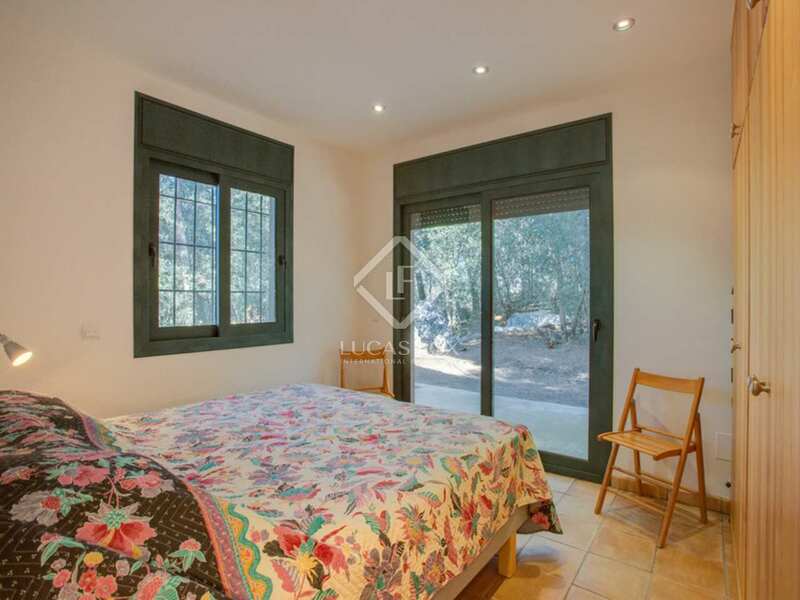 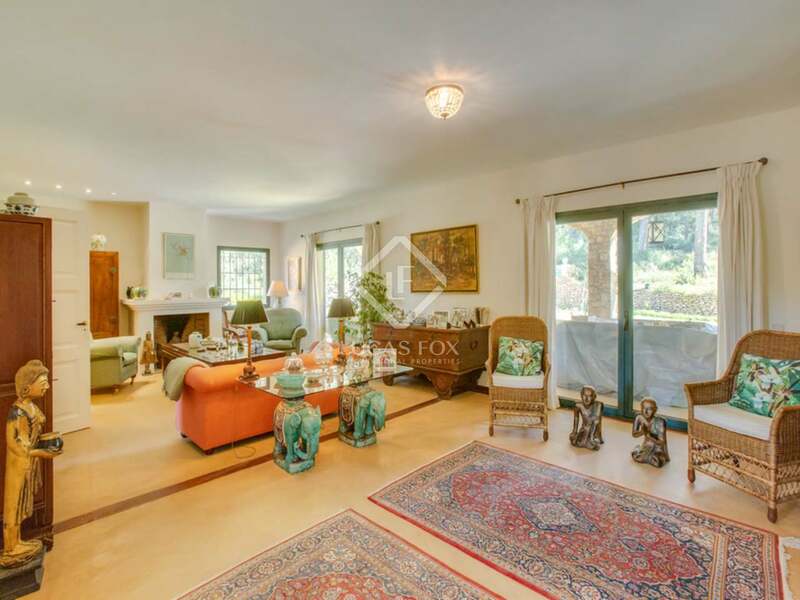 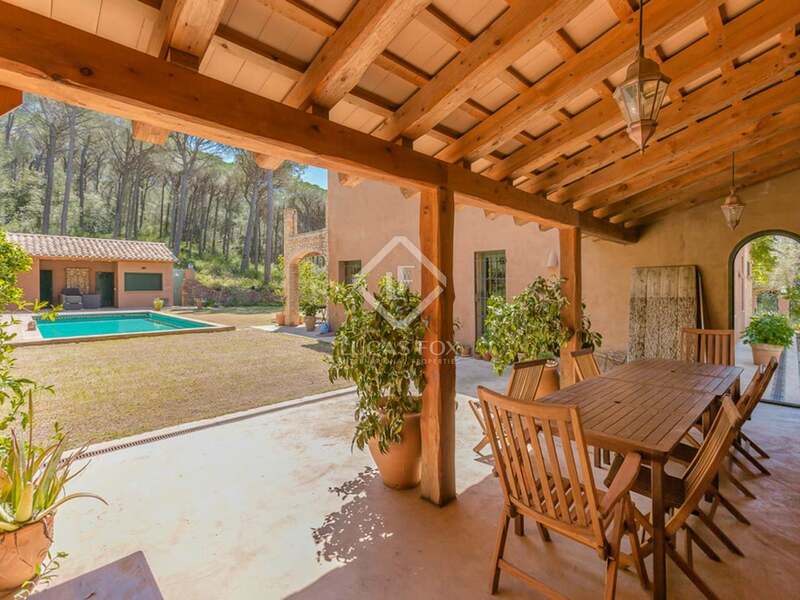 The property would make a wonderful family home or retirement property for a buyer looking to enjoy the peace, tranquillity and open space of an inland property, whilst looking to be within easy striking distance of the beaches of the Costa Brava. 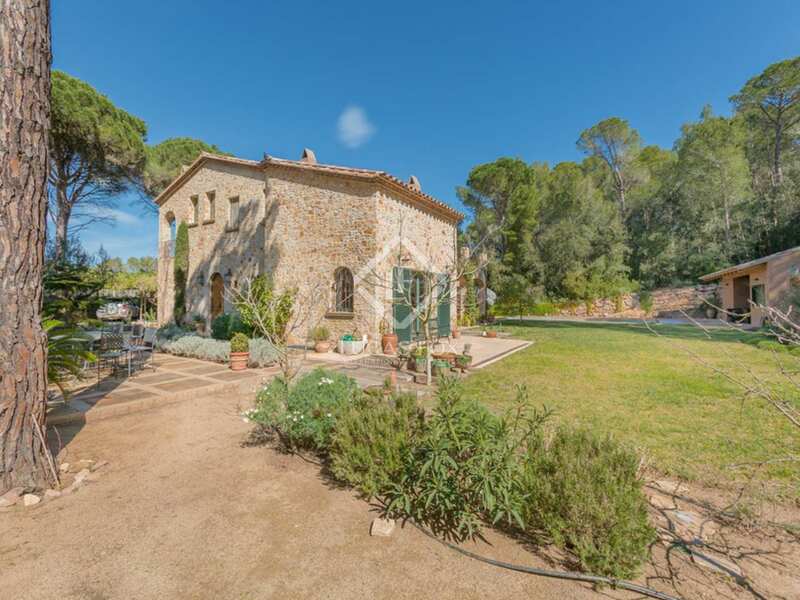 The house is just 3km from the stunning medieval town of Pals and only 3km from Pals beach - one of the Costa Brava's longest sandy beaches. 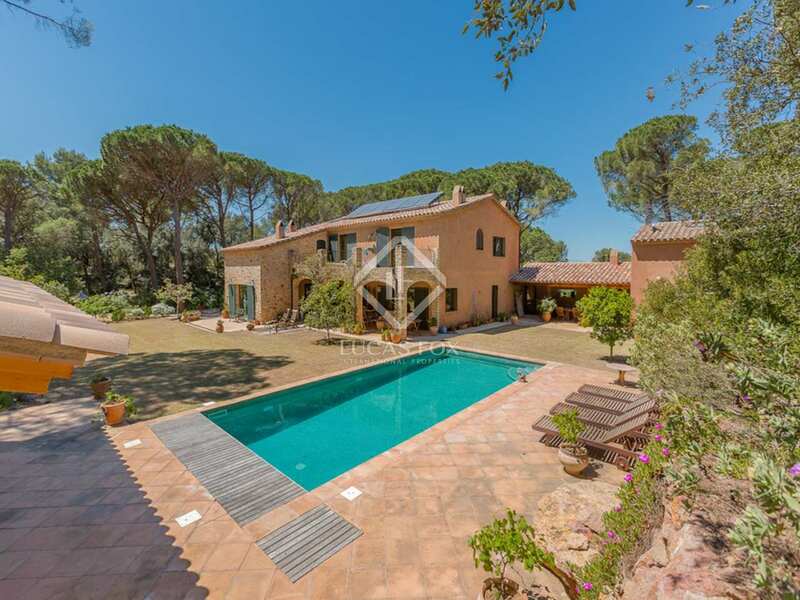 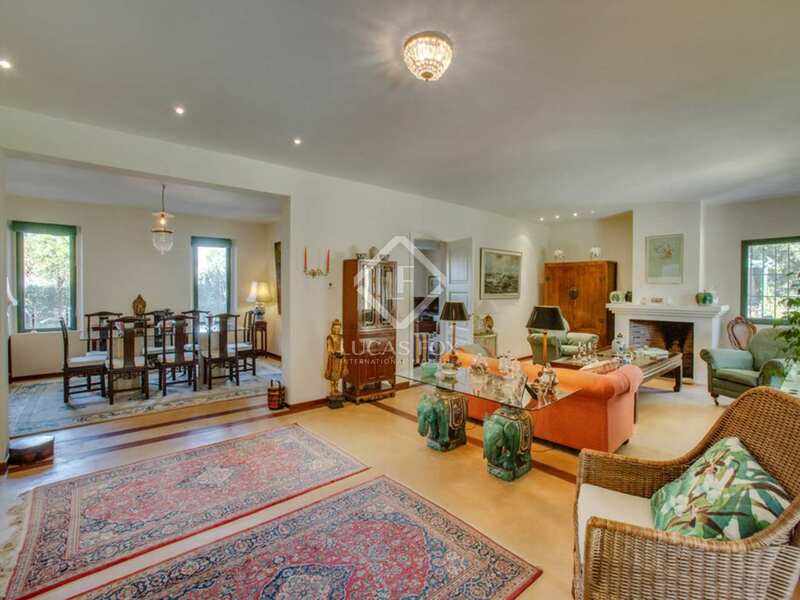 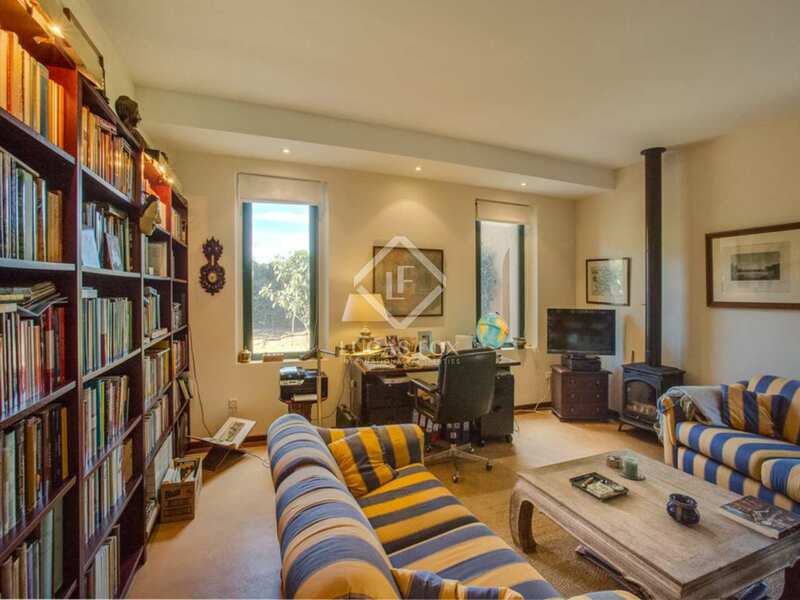 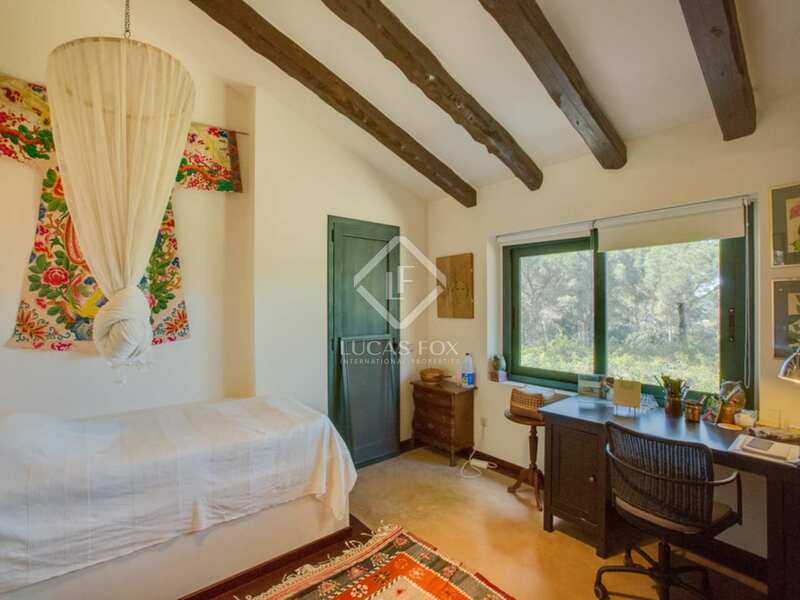 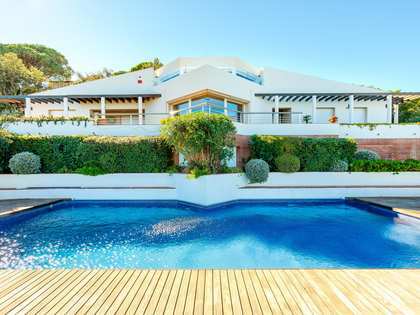 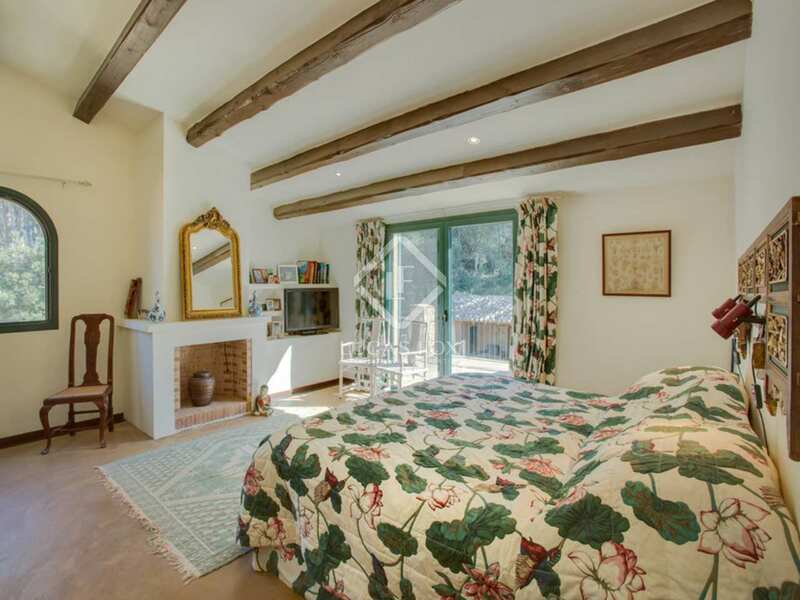 The property comprises a 4-bedroom main house, a 2-bedroom guest house, landscaped gardens with fruit trees, a heated swimming pool and poolside bar, a large garage for 3 cars and 17,000m² of pine forest. 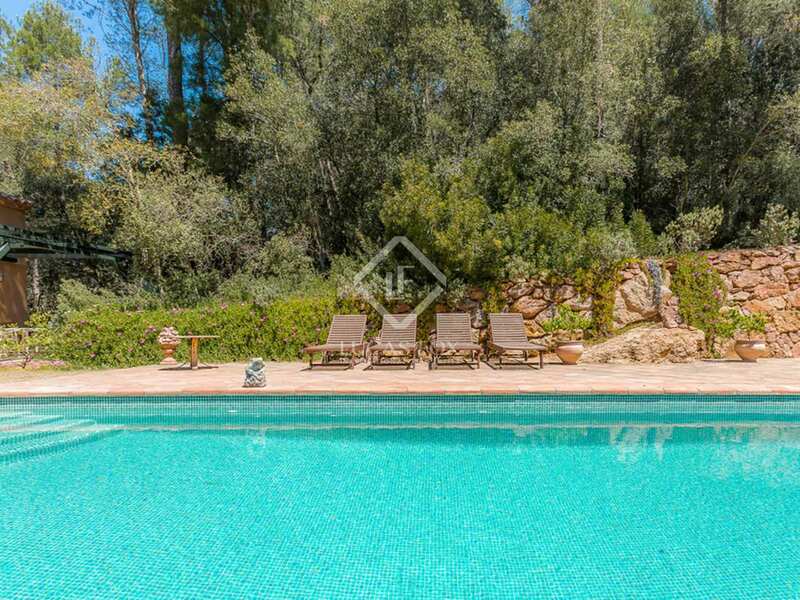 The entire estate is fully fenced. 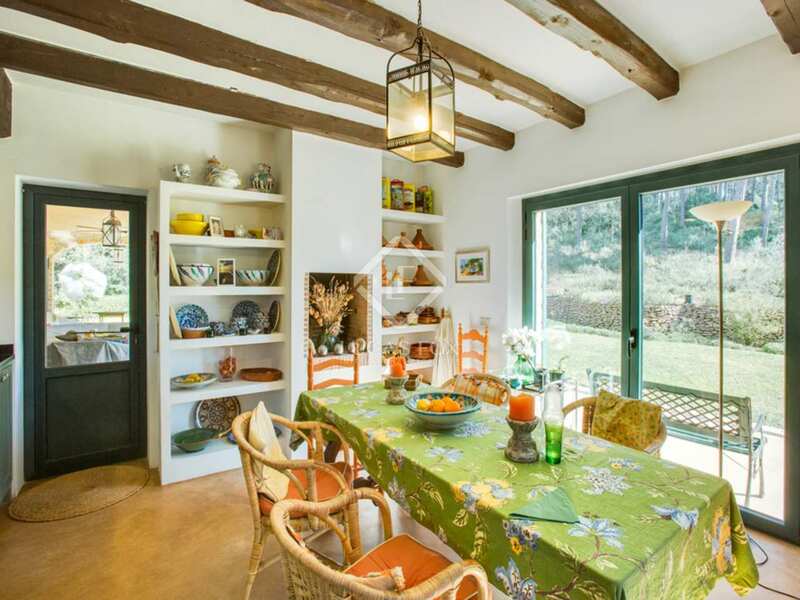 The main house is connected to the guesthouse by a beautiful covered porch with a barbecue area. 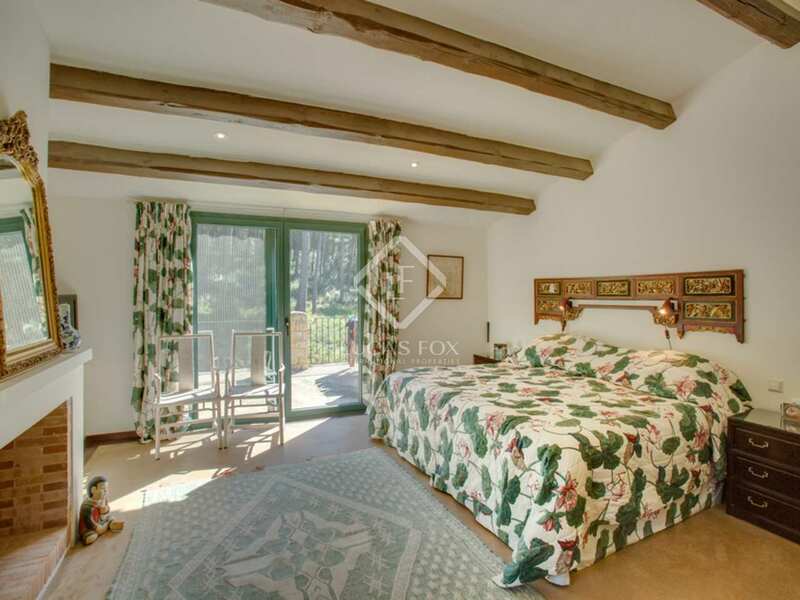 The main house is constructed over 3 levels with generous sized living areas, a country style kitchen, 4 bedrooms and 2 bathrooms. 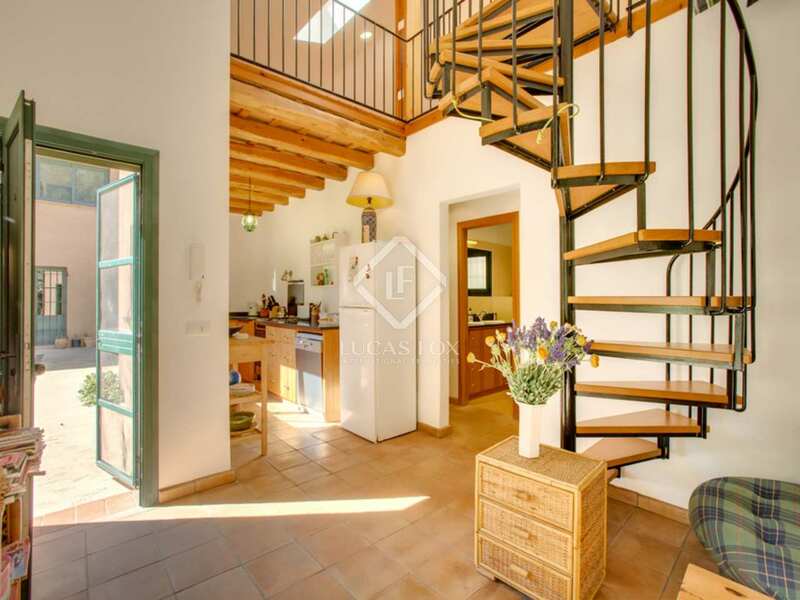 The property is equipped with underfloor heating and a significant part of the heating and hot water provision is from solar power. 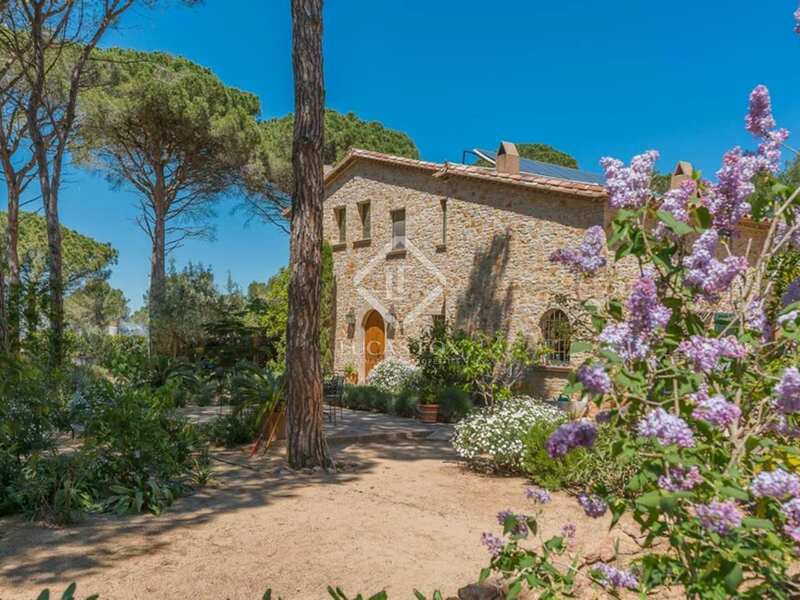 The house is perfectly protected from the Tramontana wind and the south-facing facade boasts large covered porches for outdoor dining in the hot summer months. 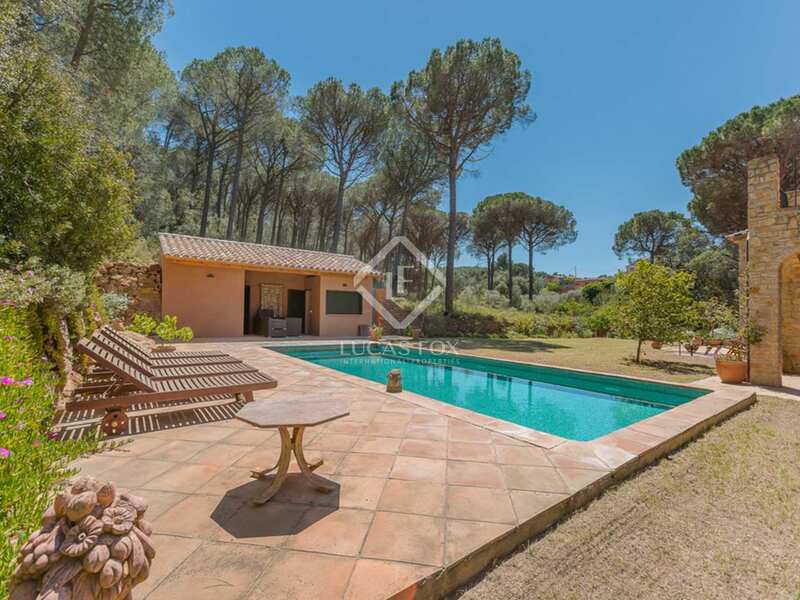 Additional features include: Fruit trees; vegetable growing area; heated pool with automatic cover; water softener; electric entrance gate; underfloor heating; polished concrete floors; hot and cold air conditioning in the guesthouse; exterior hot water shower; rainwater collection tanks; garden irrigation; 2 car-covered parking; solar and gasoil central heating; mosquito screens. 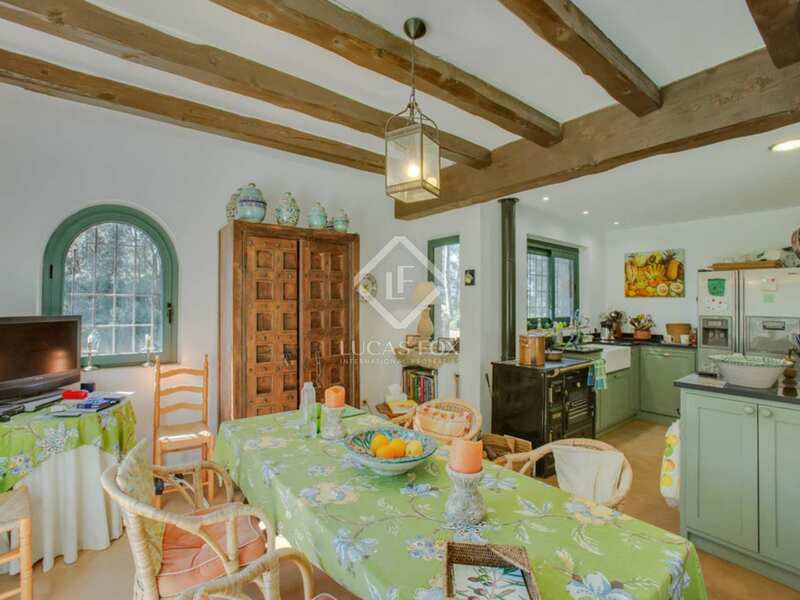 This is a superb property in a unique location, offering the perfect mix of beach and countryside living. 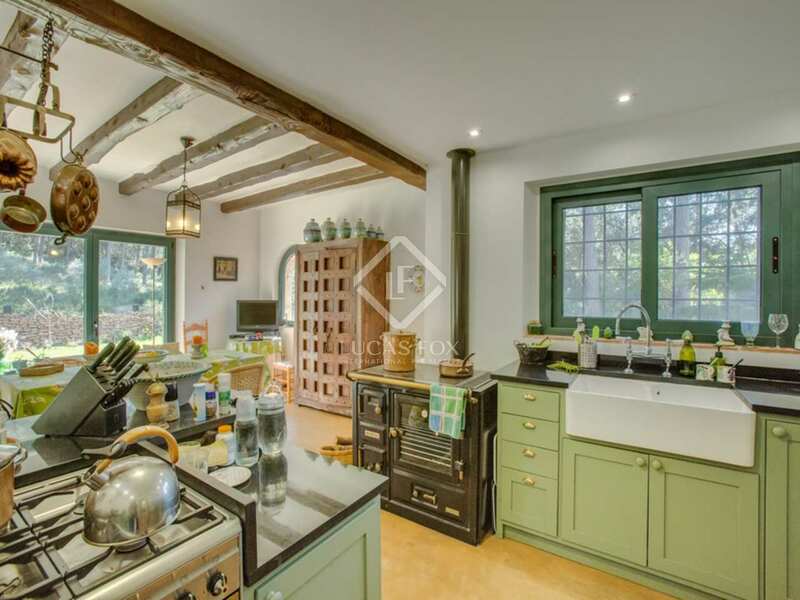 Ground floor: Large, double height entrance hall with staircase leading to the first floor accommodation; guest cloakroom; country-style kitchen with breakfast dining area, a traditional style Aga, a gas hob and access to the covered porch and garden; living room with open fireplace and direct access to the covered porch; dining room; office/TV room. 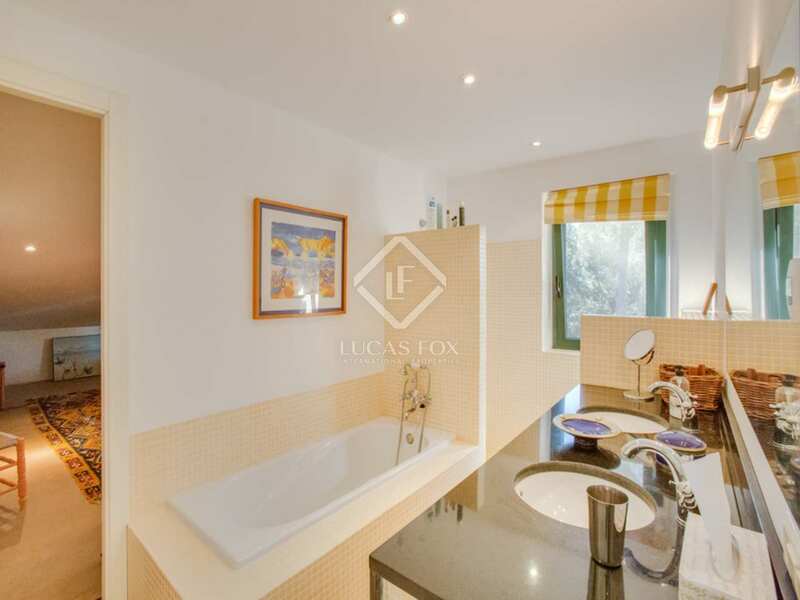 First floor: Master bedroom with en-suite bathroom, walk-in dressing room, fireplace and access to a terrace; 2 double bedrooms with adjoining bathroom; a third double bedroom with access to a private terrace. 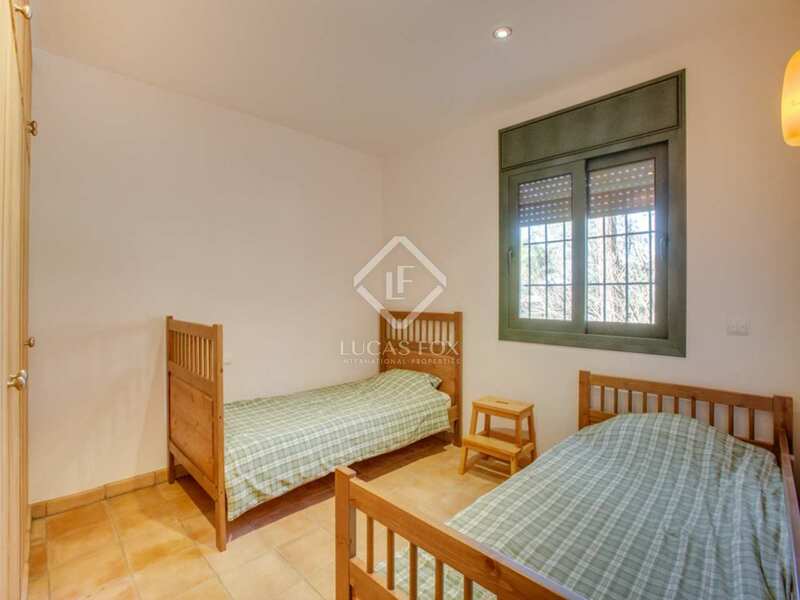 Ground floor: Living room, kitchen, 2 double bedrooms with fitted wardrobes, shared bathroom (with bathtub). 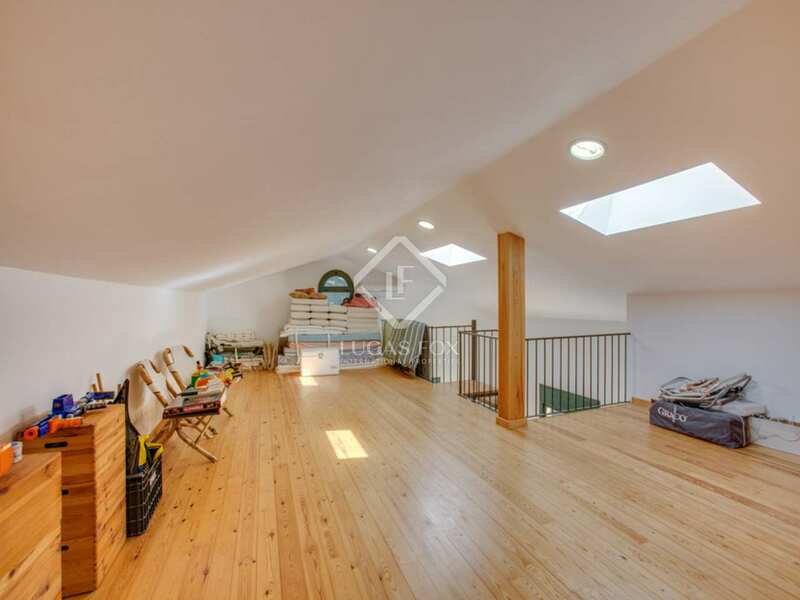 First floor: A spiral staircase leads to a mezzannine area ideally suited as a children's play area, TV room or office. 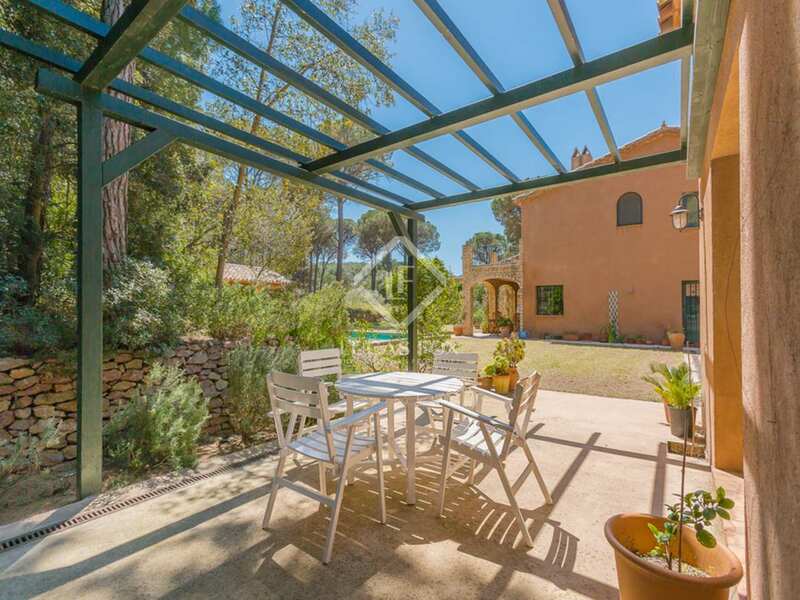 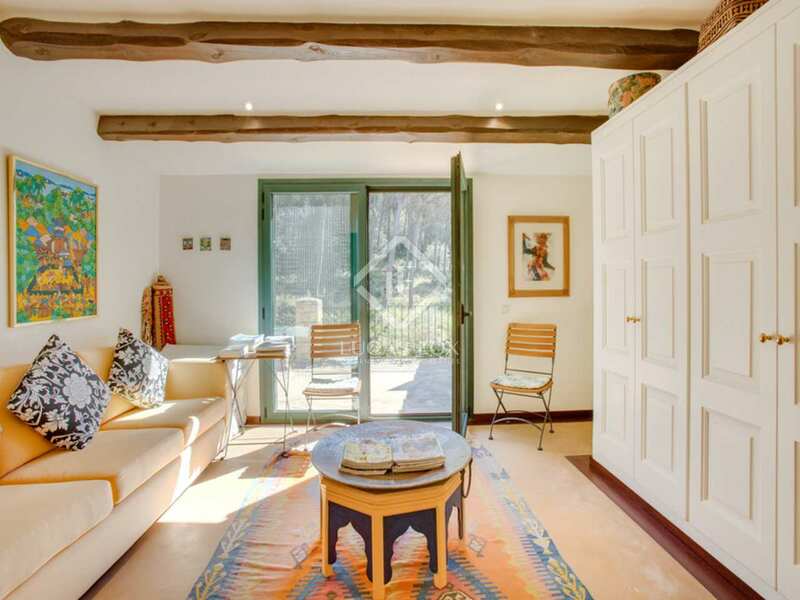 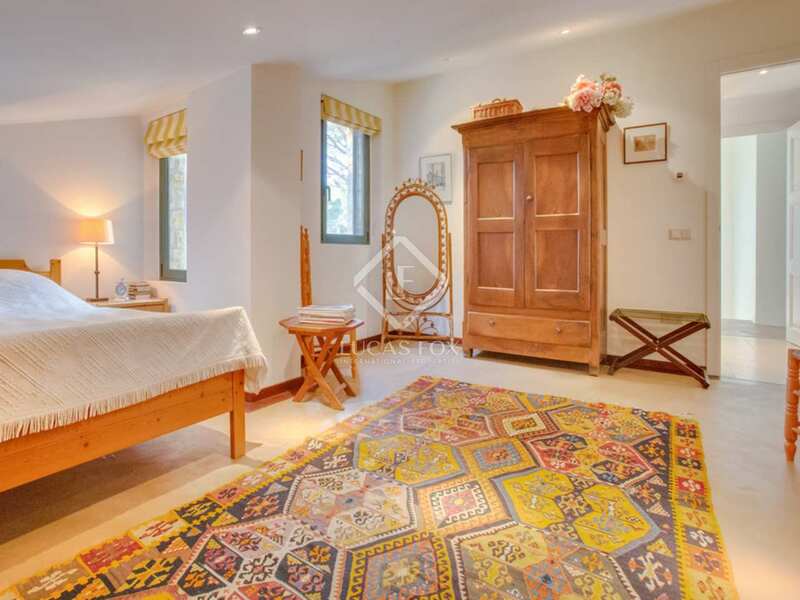 This inland Costa Brava property to buy is ideally situated in one of the most sought-after areas of the beautiful Baix Emporda region, just 3km from the historic medieval town of Pals and 3km from the nearest beaches of the Costa Brava. 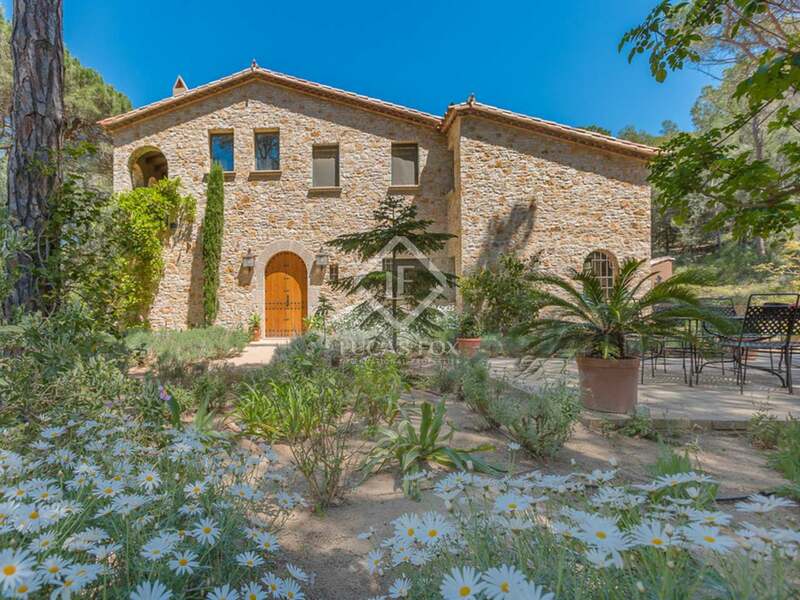 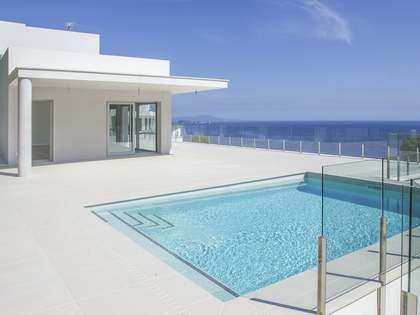 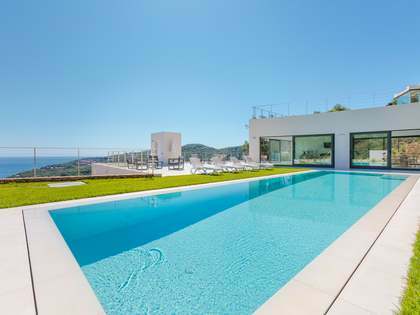 The property is only a few minutes drive from two of the region's best golf courses (Golf Platja de Pals and Golf Emporda) and only 10-minutes from the lovely hilltop town of Begur and its surrounding bays and beaches - including Sa Riera, Sa Tuna, Aiguafreda, Aiguablava, Tamariu, Llafranc and Calella de Palafrugell. 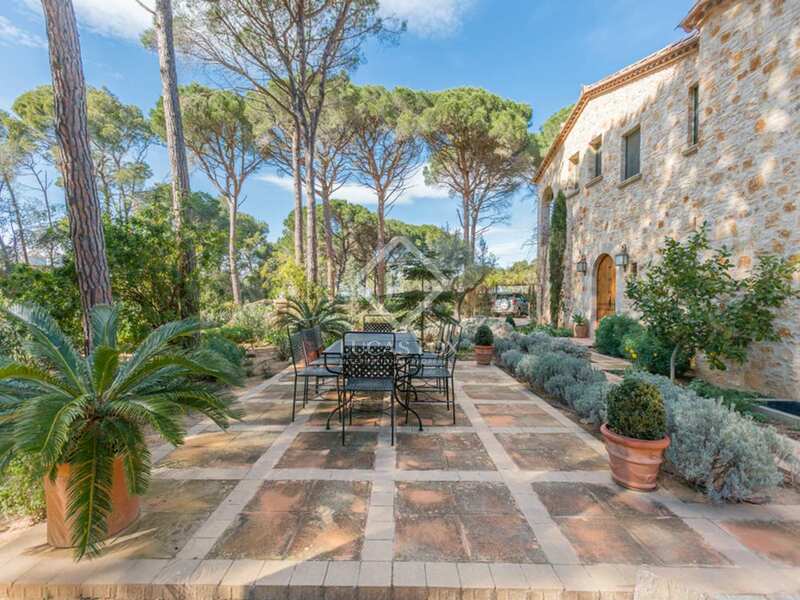 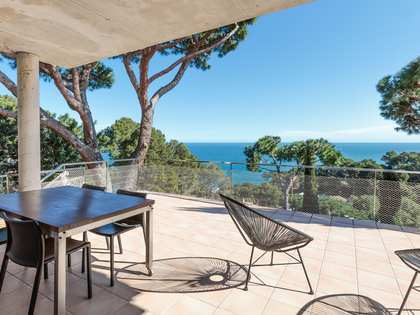 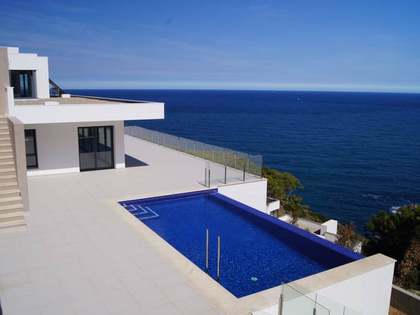 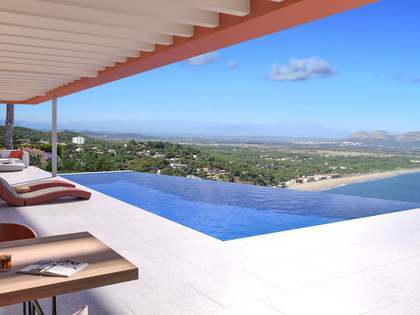 This is one of the most beautiful, prestigious and sought-after areas of Catalunya and it is rare to find a property with this much private land so close to the sea.